Become a partner of French Quarter Magazine and associate your brand with the values our magazine represents: luxury, sophistication, entertainment, discovery, education, creativity, prestige, French-american social networks. Build a unique project designed in close cooperation with the French Quarter team. For sponsorships and partnerships inquiries, please contact us at contact@frenchquartermag.com. As a socially-minded company, SWEETours offers group and private tours to the Grand Canyon, Hoover Dam, Bryce/Zion, Lake Mead and Las Vegas and is working with French Quarter Magazine to introduce Las Vegas and its surroundings to French and Francophone tourists and to encourage interaction among French, Francophone, and American people through travel and education. Robert Appiah has been affiliated with the Airline, Commercial Aircraft Leasing and Travel Industry for over 27 years in various capacities. Appiah group consists of Aircraft Lease Finance Corporation – A commercial aircraft leasing company, of Appiah Aviation Corporation – A Business Aviation Company, of Appiah Tours Inc., a travel agency that can help you with your travel arrangements and of The Appiah Corporation, a real estate company which can help you buy the right property at the right price. 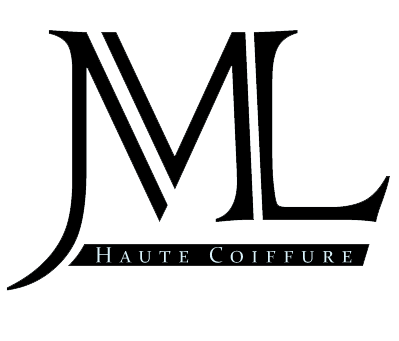 In 2000, Jean-Marc began training under the world-renowned Eric Zemmour of L’Oreal Studios, and, in 2006, brought his unprecedented creativity and experience stateside where he accepted a position at the José Eber Salon in Las Vegas and Christophe of Beverly Hills. Jean-Marc Levy now works as a freelance master stylist for an exclusive clientele and has over 30 years of experience in the hairstyling world. Anne Fontaine is a brand as rich in history as it is in design. Anne Fontaine owns and operates 70 boutiques in the United States, Europe, Asia, and the Middle East. Her personal experience of living with the Canela tribe in the Amazon rainforest inspired her commitment to the conservation of the environment conservation of the environment. It offers women’s dresses, handbags, wallets, and belts. 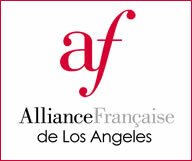 Alliance Francaise de Los Angeles mission is to promote and enhance the knowledge and appreciation of French and Francophone culture, to increase the knowledge and comprehension of the French language. French Quarter Magazine and Alliance Française spirits and goals have much in common: provide public with a link between France and the United States bilingually. With more than 120 years of teaching experience, Le Cordon Bleu is the leading network of Culinary Arts and Hospitality Management institutes in the world. The institute provides the highest level of culinary and hospitality instruction through world class programmes. Discover Le Cordon Bleu online boutique, a show case for the French art of fine living.